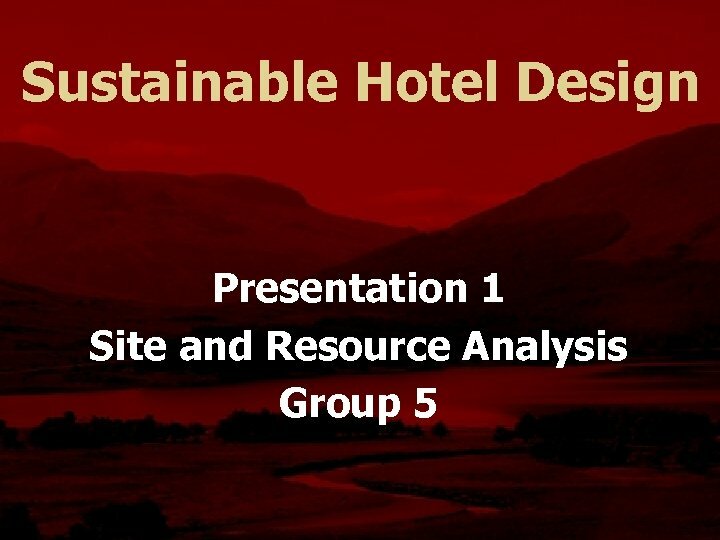 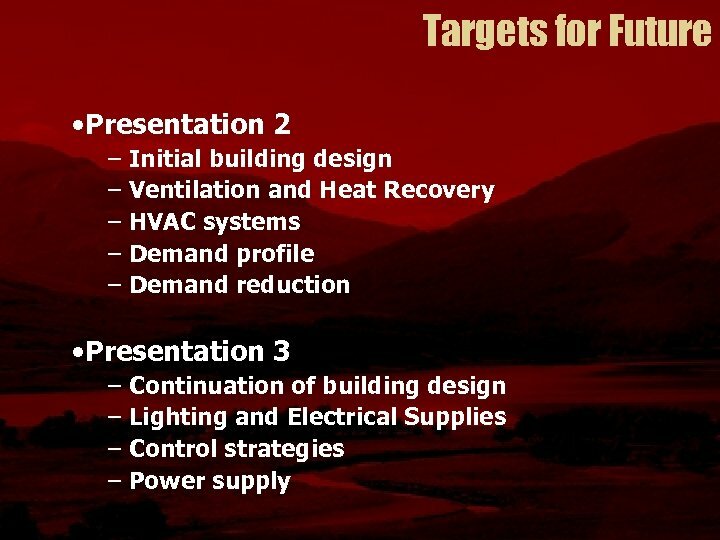 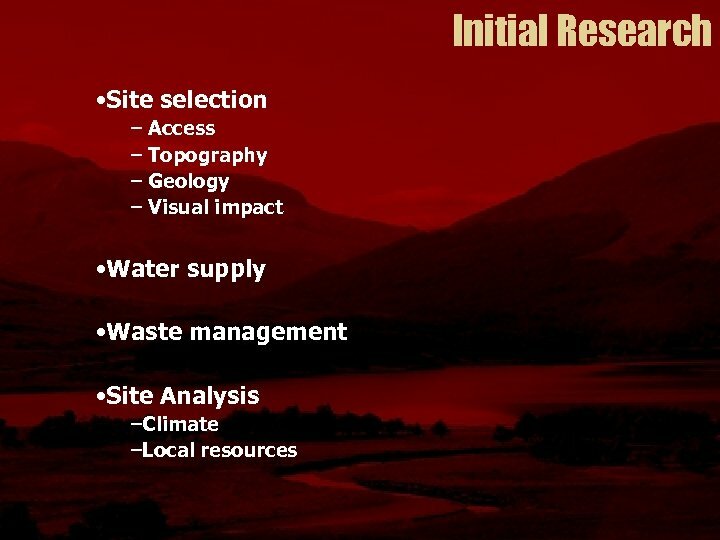 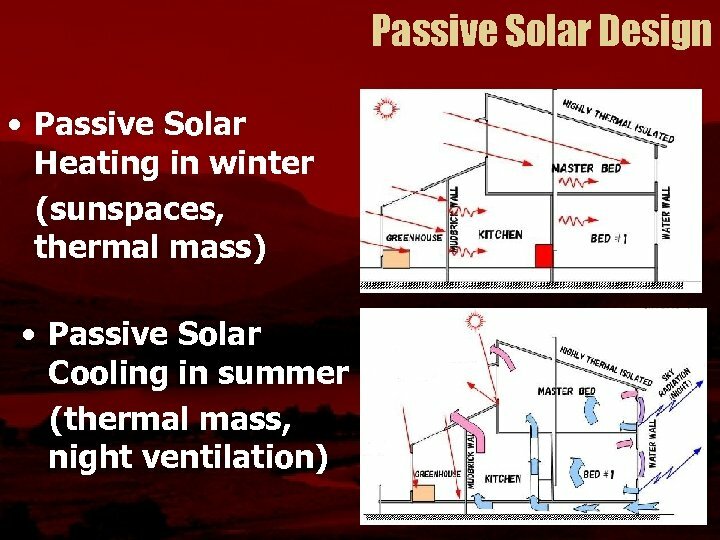 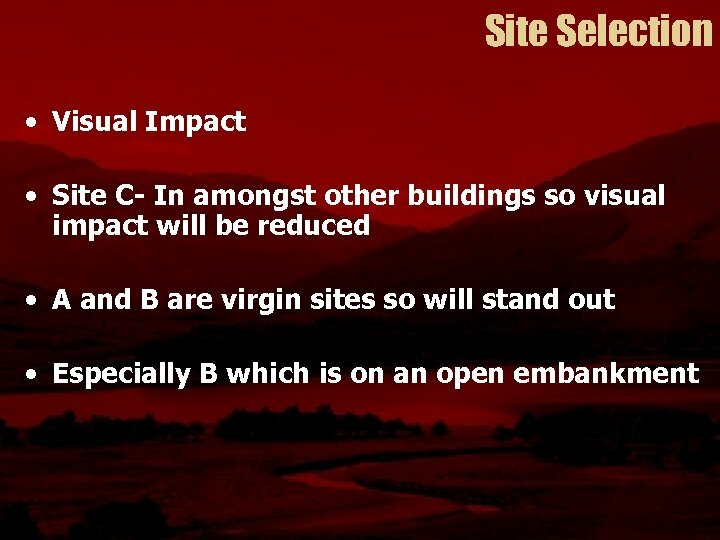 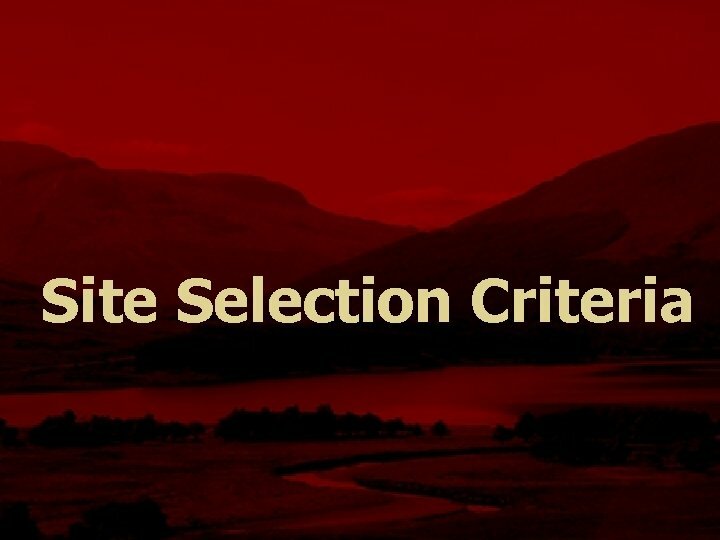 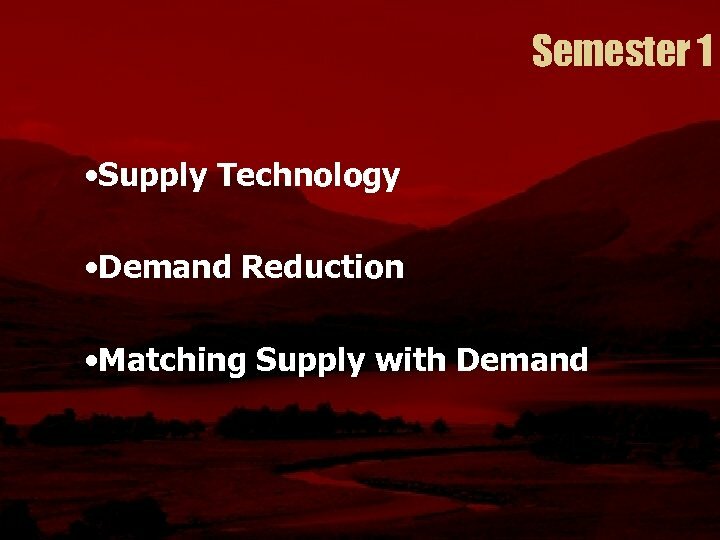 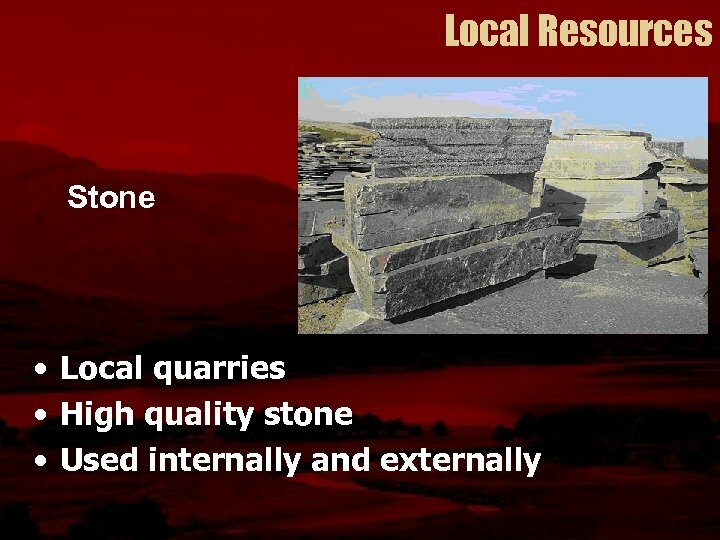 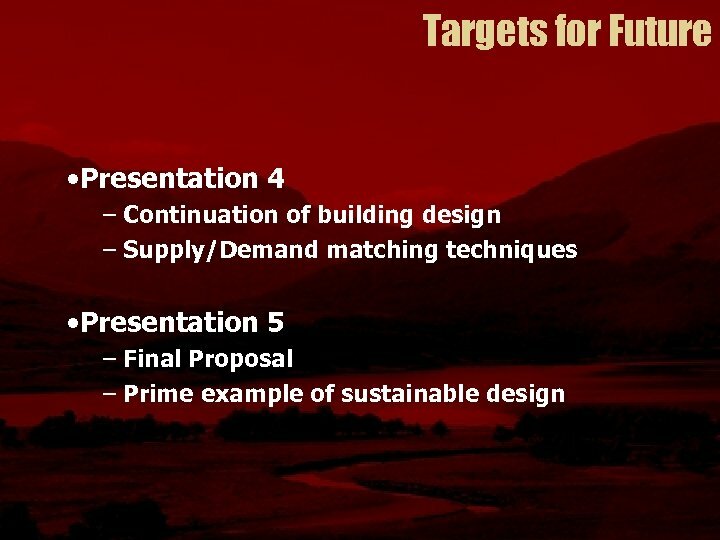 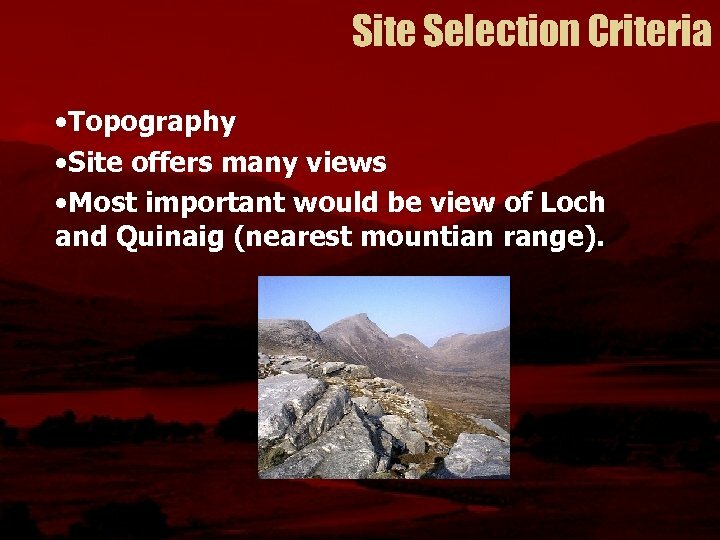 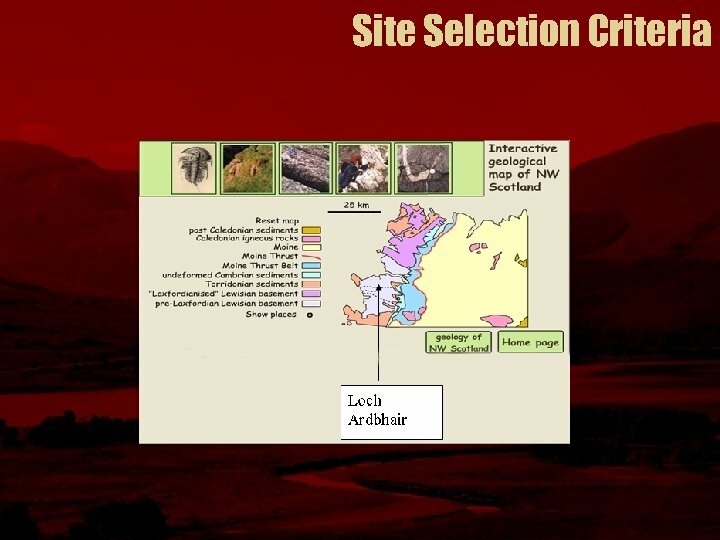 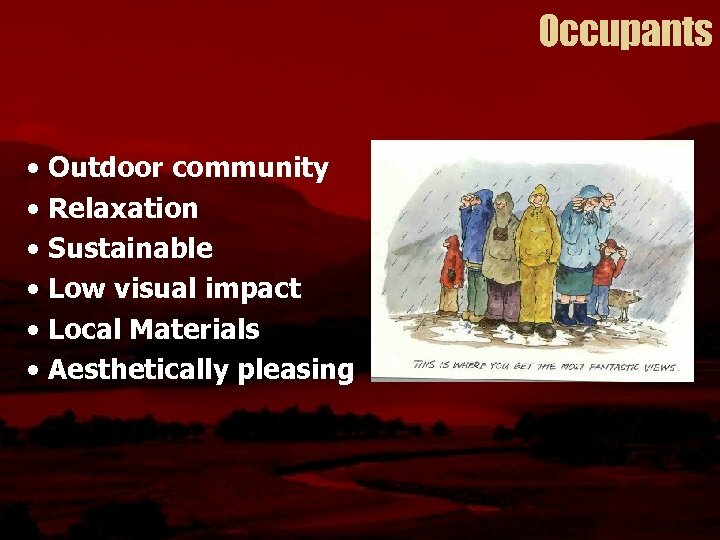 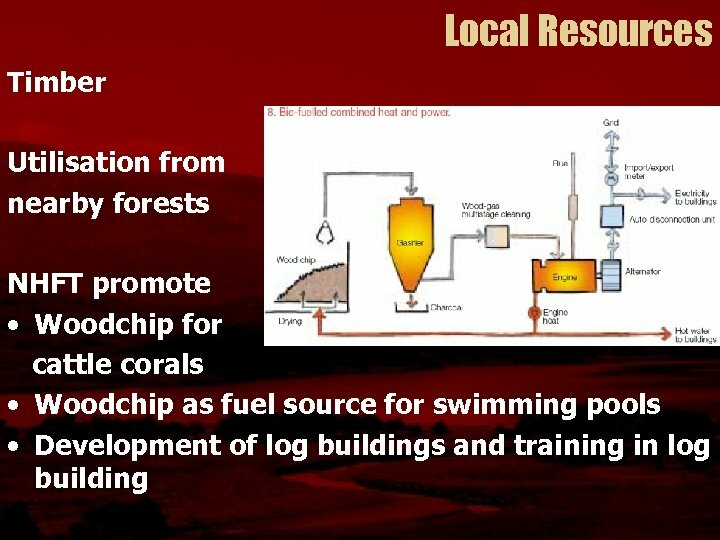 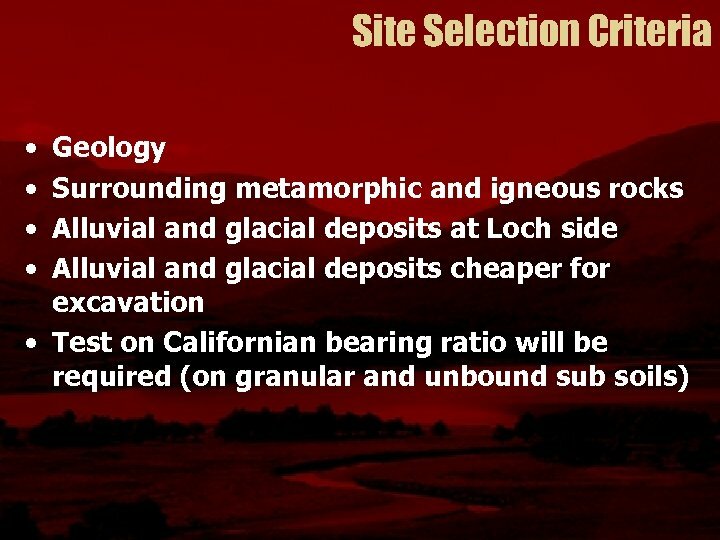 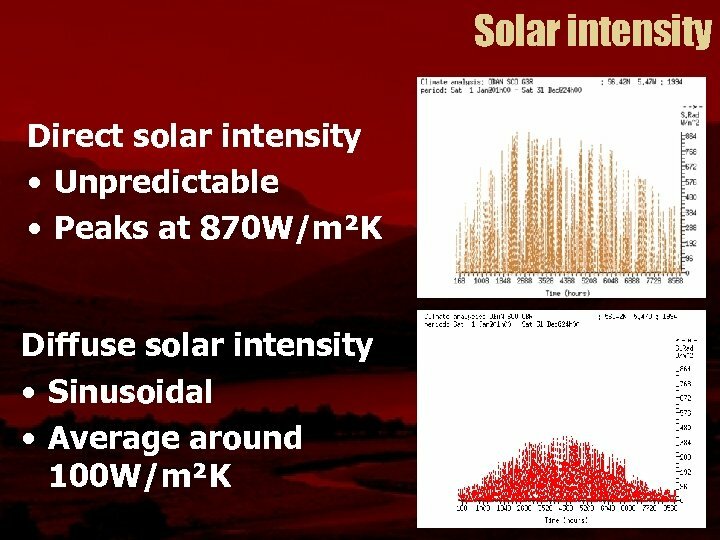 Site Selection Criteria • Topography • Site offers many views • Most important would be view of Loch and Quinaig (nearest mountian range). 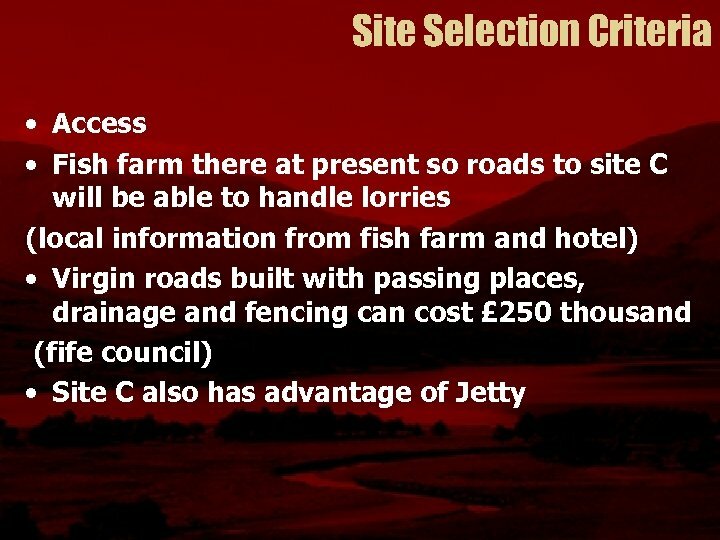 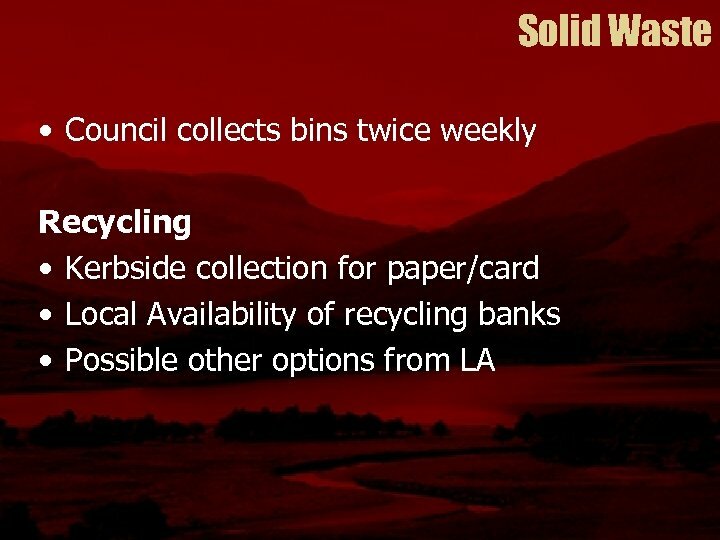 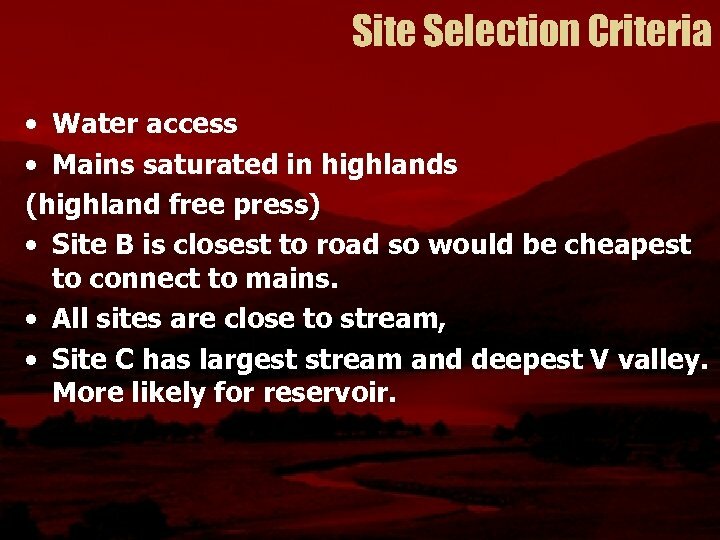 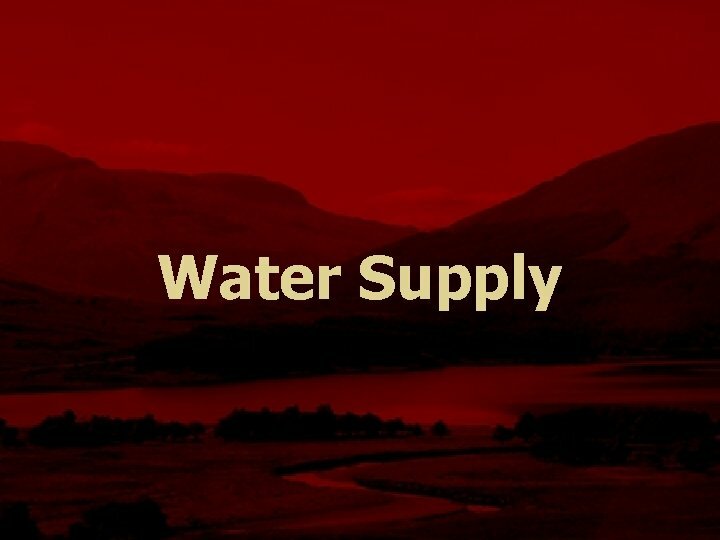 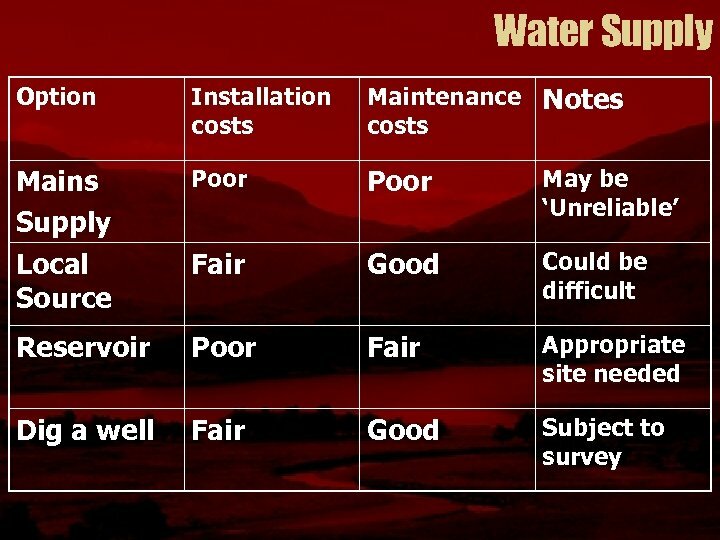 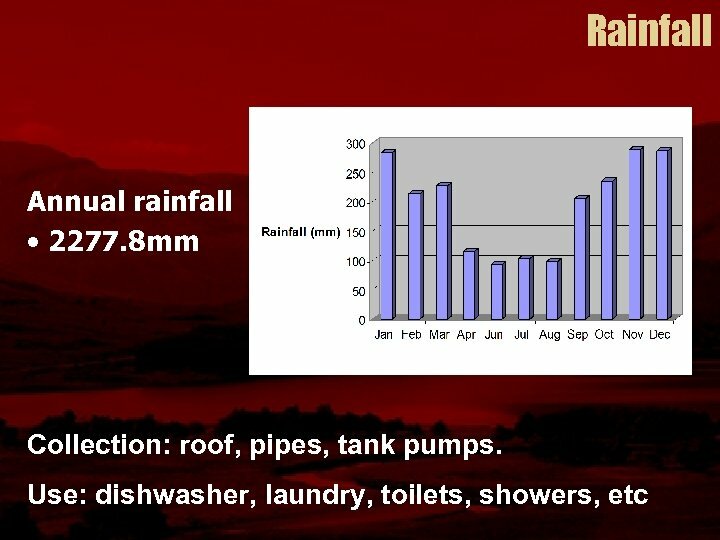 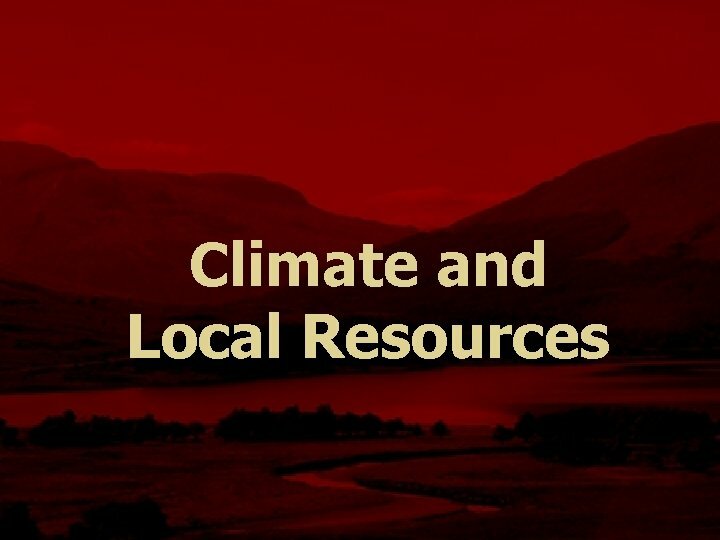 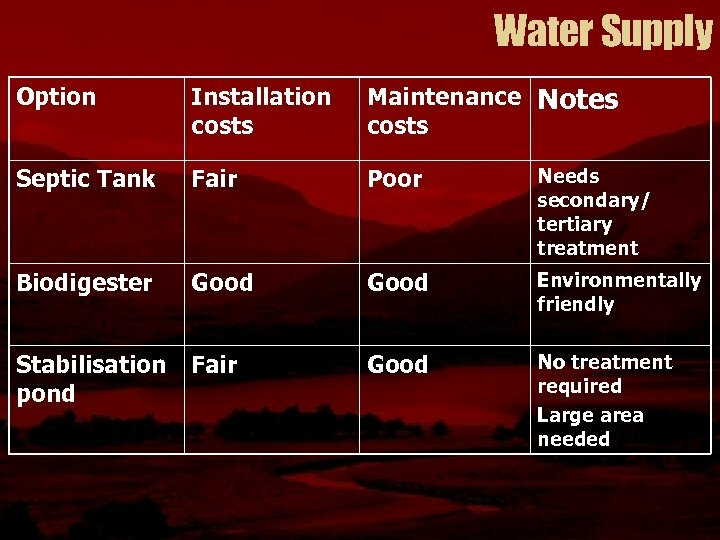 Site Selection Criteria • Water access • Mains saturated in highlands (highland free press) • Site B is closest to road so would be cheapest to connect to mains. 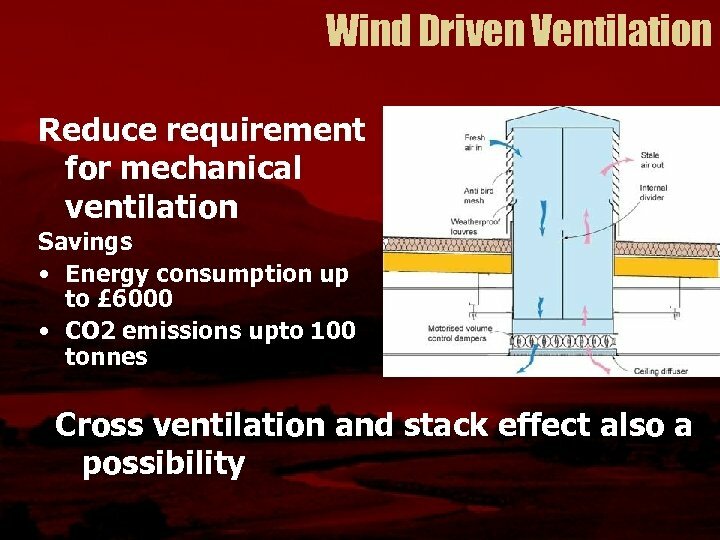 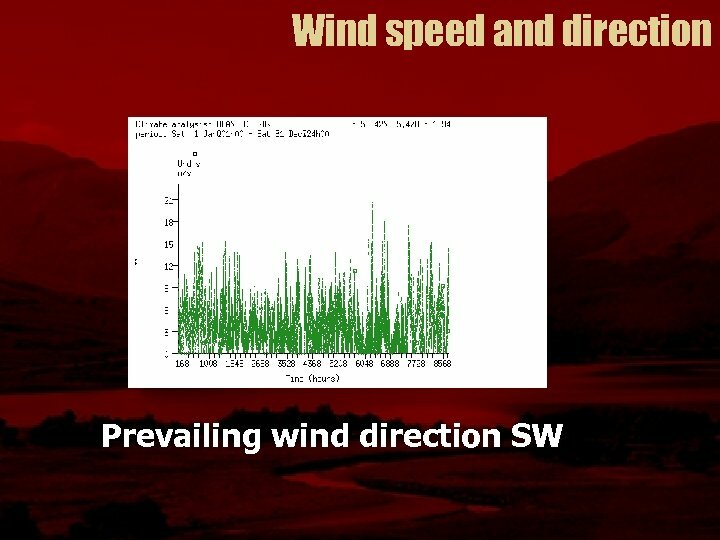 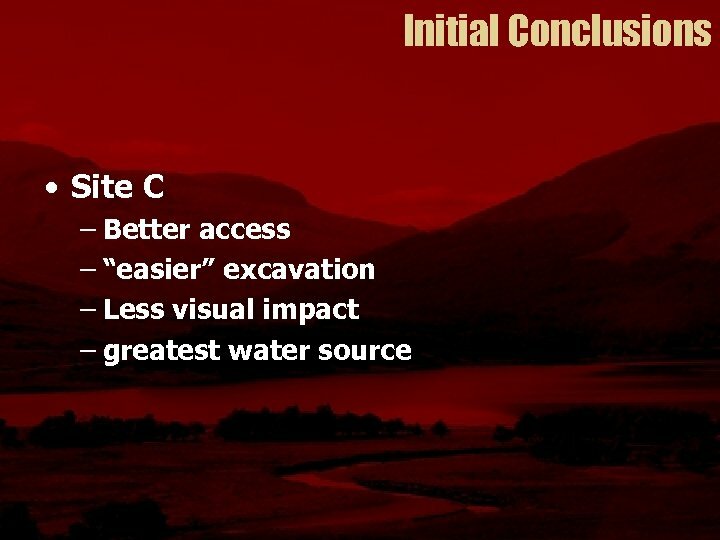 • All sites are close to stream, • Site C has largest stream and deepest V valley. 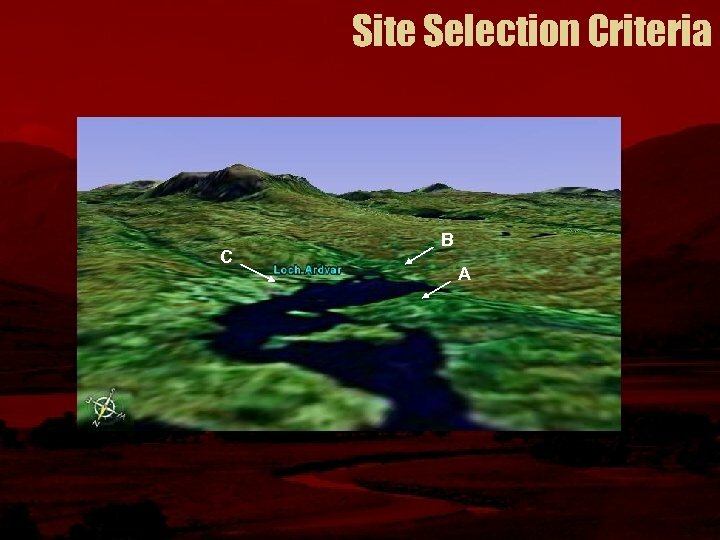 More likely for reservoir. 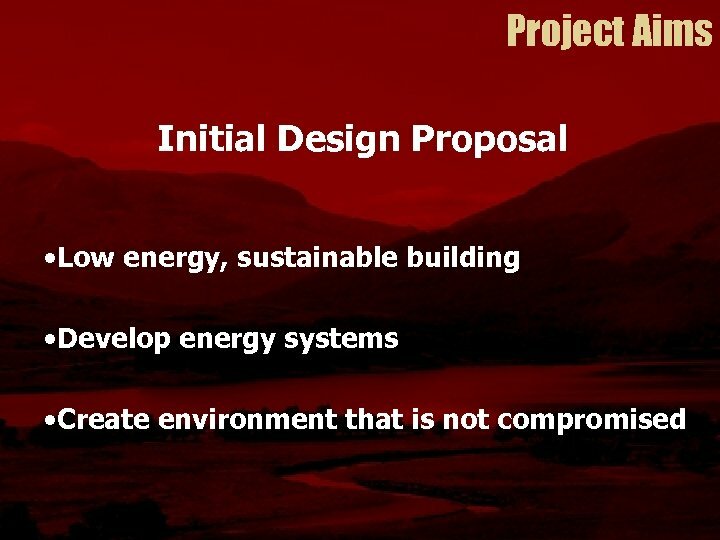 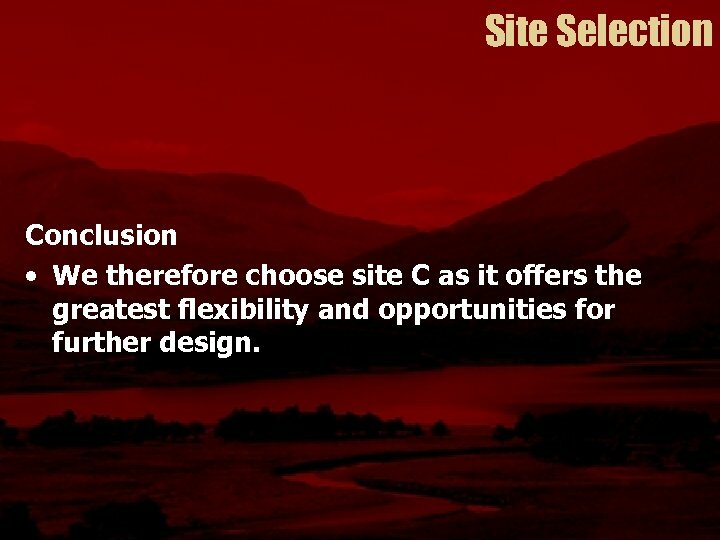 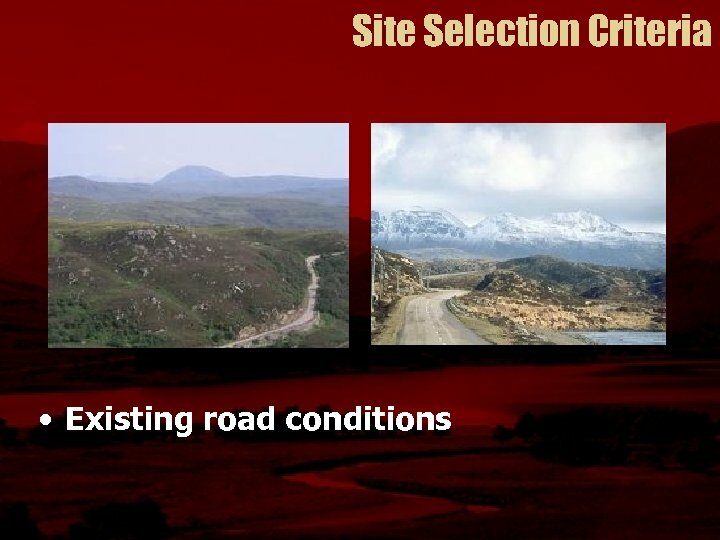 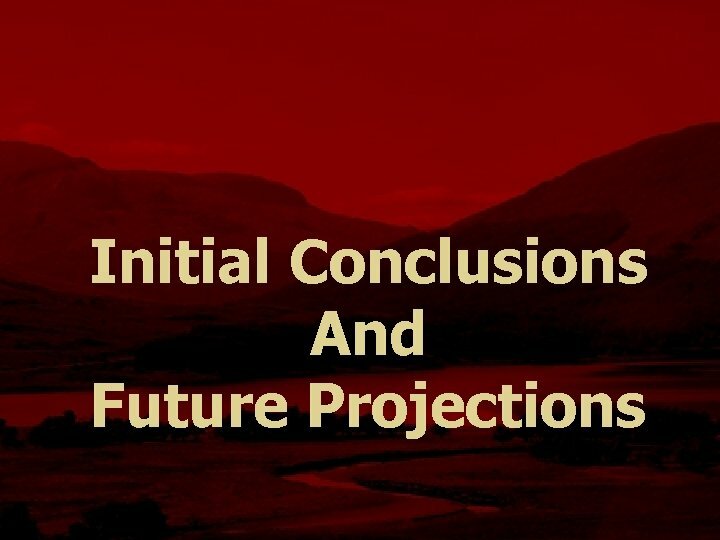 Site Selection Conclusion • We therefore choose site C as it offers the greatest flexibility and opportunities for further design. 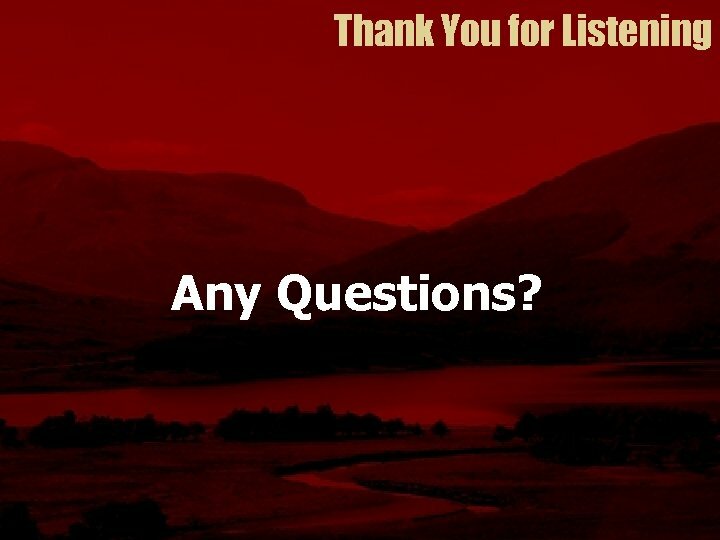 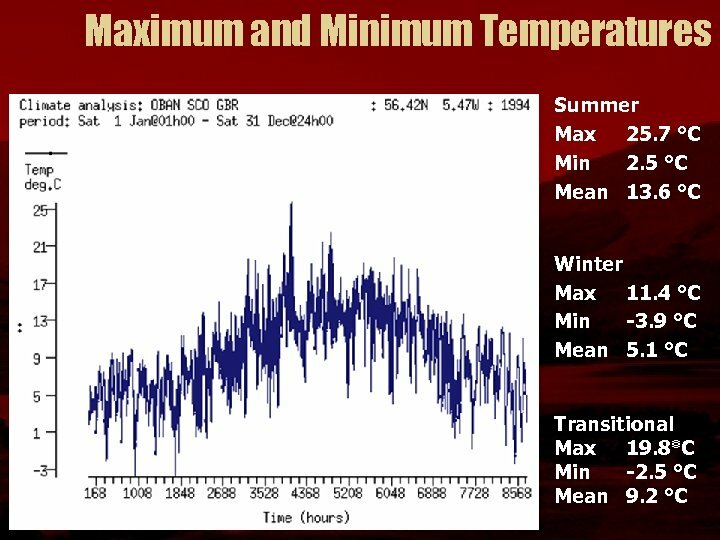 Thank You for Listening Any Questions?